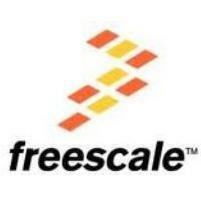 Freescale is a pioneer of the global semiconductor industry. Our rich history of embedded solutions goes back more than 50 years to 1948 when we were a division of Motorola. In 1955, we delivered the world’s first commercial high-power transistor, a germanium transistor for car radios, and our first mass-produced semiconductor. From this fundamental building block of modern electronics, we have never stopped inventing.We’re driven by the exciting evolution of the digital marketplace, and by the embedded challenges our customers face every day. We’re relentless researchers, investing more than $780 million annually on R&D–that’s over 17% of our total revenue. In addition, our intellectual property portfolio contains more than 6,100 patent families. All evidence of our passion for pursuing innovation. The candidate should possess B.E/M.E in Computer Engineering from any recignized university. 1-8 years of hands-on experience in software development and debug. Experience in software development environments and methods. Experience with debug, profiling and performance analysis tools. Experience using core and SoC simulation and emulation models a plus. Networking Application Software Development and Performance Analysis with a view to mapping and optimizing these applications to multi-core, and hardware accelerator rich System on Chips (SoC’s). Work with software developers to leverage and cooperate on software development and performance analysis for next generation of the SoC. Tracking the functionality and performance of developed software.